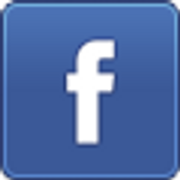 TharangaC: It is time for Microsoft Dynamic NAV 2016! "Corfu" is not just a name of an island now! It is time for Microsoft Dynamic NAV 2016! "Corfu" is not just a name of an island now! During the Microsoft Worldwide Partner Conference in Orlando, new announcement has been made about Corfu. Corfu, an island off Greece’s northwest coast in the Ionian Sea. However this announcement was not about the beautiful small island in Greece. 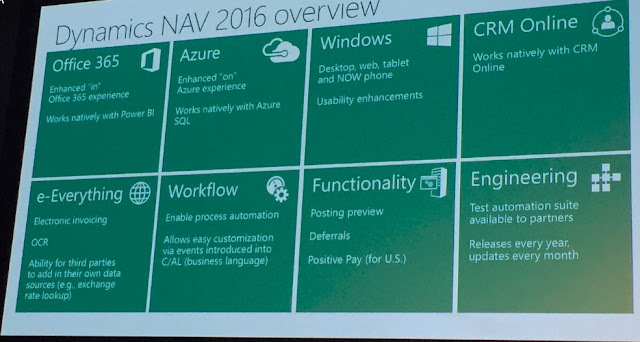 It was all about new Microsoft Dynamics NAV 2016 release. There were few other blogs from MVPs on the new release and all of them has shared this slide which gives the full overview of Dynamics NAV new member. You will be able to use Azure SQL in Dynamics NAV 2016. This means you can put your database on Azure SQL and no longer required to have your database on a Virtual Machine (VM) with SQL Server. Still does not have much info about this, however looking at the slide this will have a new client for the mobile devices and new enhancement to currently available clients. I think Mobile Client will be a massive user attraction point on the new release since many clients were looking forward to it from 2015 release. Microsoft seems to working on the out-of-the-box solution to integrate with CRM Online. This will ease the life of many people who are using Dynamics NAV and CRM with a integration. E-Everything will have the capability to cover the process of electronic invoicing from inbuilt OCR and ability for third parties to add their own data source (ex: Exchange rate lookup). This is something we all were looking forward to. How long it has been and finally it will be available with the 2016 version. One area that impressed me a lot is "Posting Preview". This is something most of our clients requested and finally it will be available in the 2016 release. There are many info coming up and hoping to update you on them via my blog. Meantime go through below blog posts of my personal favorites on 2016 release.